The high voltage drama of Karnataka government formation from the result counting day to floor test day is at its peak. Where BJP has to prove its 112 support, who has 104 MLAs support are half way back, have been accused of luring Congress MLAs. The grand old party on Friday released an audio clip of a purported conversation between its newly elected MLA from Raichur Rural constituency, Basanagouda Daddal, and former BJP minister and Bellary baron G Janardhan Reddy. In the audio clip, BJP offered the Congress MLAs a ministry and 'wealth' for defecting to BJP. As per Indian Express reports, in the audio, the person sounds like Janardhan Reddy offers Congress' Daddal a direct access to 'the national president' and promises '100 times the wealth you currently have”. “Today, you will be a minister… What I am saying is that I will make you sit one-to-one with the big man and speak to them myself… You will make 100 times the wealth you currently have,” he says. The Congress released the audio clip on Friday evening, a day before BJP's floor test, that will decide the fate of Karnataka's Chief Minister. 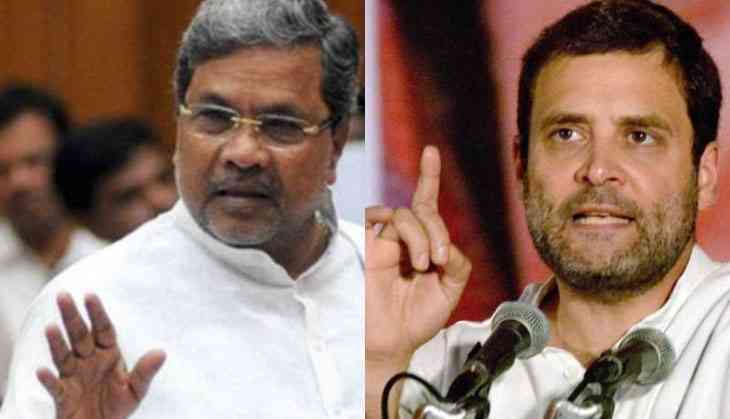 Earlier in the day, former Karnataka Chief Minister Siddaramaiah told reporters that the party was in possession of recordings of conversations in which BJP leaders like the Reddys and B Sreeramulu sought to entice Congress MLAs. “We will release details of all the discussions between Reddy, Sreeramulu and our MLAs after the trust vote. All the things they are doing to lure our MLAs are evident on the tape. All our 77 MLAs, other than Anand Singh who is being held captive, are intact,’’ he said, adding that MLA Prathapgouda Patil had also been enticed to defect. The BJP sidelined the audio clip as “utter falsehood’’. Union minister and party’s in-charge of Karnataka, Prakash Javadekar, said it was “a creation of the Congress dirty tricks department’’. “Dear Congressis......Who is the mimicry artist you hired to perform Janardhan Reddy’s voice? He has done a pretty good job. Kindly share his coordinates. We would want to know if he can do a voiceover of Siddu & DKS as well. Maybe even we can release an audio tape,” tweeted the Karnataka BJP. Who is the mimicry artist you hired to perform Janardhan Reddy's voice? He has done a pretty good job. Kindly share his coordinates. We would want to know if he can do a voiceover of Siddu & DKS as well. May be even we can release an audio tape! As it is a fate day for the newly elected CM BS Yeddyurappa who sworn in as CM of the Karnataka after Governor Vajubhai Vala invited BJP to form its government and was yesterday asked for floor test in the assembly today by Supreme Court. The floor test will be taken at 4 pm on Saturday. Karnataka Governor Vajubhai Vala appointed Bopaiah as the pro-tem speaker ahead of the floor test in the Karnataka assembly. The Floor Test will be telecasted live.